Our special recipes are created and made on site by Jabo and his wife Susan. Both chef's have years of experience. 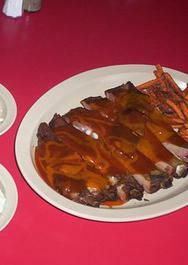 We feature 22 different varieties of sauce all made from scratch and all natural. No preservatives or msg is used in our recipes. 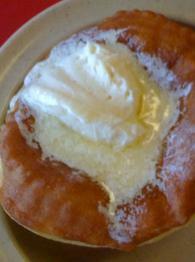 Bite into our famous "Utah Sconuts", light airy pastry bread with a homemade honey butter melted over the top, just waiting for your delight. All our meats are slow smoked with the king of all smoking wood, Hickory. We want all our customers to be treated like family, with plenty of food and the feel of a good home cooked meal. Our portions are big and we hope you bring a big appetite. 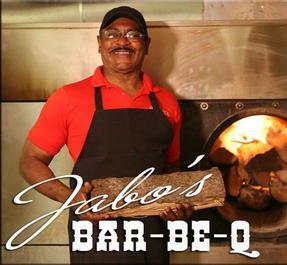 Jabo's caters and does take out orders. Thank you for visiting our site and we hope you come see Jabo soon.